This summary is from “Can Exercise Improve Cognitive Symptoms of Alzheimer’s Dementia? 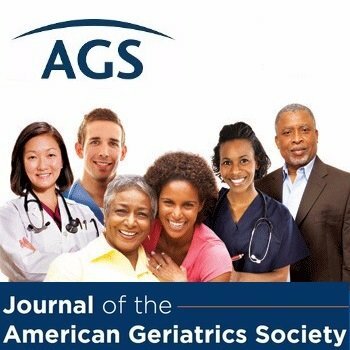 A Meta-Analysis.” It appears online ahead of print in the Journal of the American Geriatrics Society. The study authors are Gregory A. Panza, MS; Beth A. Taylor, PhD; Hayley V. MacDonald, PhD; Blair T. Johnson, PhD; Amanda L. Zaleski, MS; Jill Livingston, MS; Paul D. Thompson, MD; and Linda S. Pescatello, PhD. This entry was posted in JAGS Research Summaries, Prevention and tagged Alzheimer's disease, dementia, exercise, physical activity by HIA Guest Blog. Bookmark the permalink. Very helpful!! Please email more substantiating information .or reliable resources. Thanks for sharing. The lifestyle of seniors can help them delay the onset of Alzheimer’s symptoms. Aerobic exercise might not be the solution, but it can be an effective way to reduce the risk of developing Alzheimer’s in the golden years. Very helpful! While exercise plays only 20 to 30 percent role in wellbeing, focusing on diets is important too. As Alzheimer’s is a progressive disease, having someone by side can have significant affects in slowing the process of progression. Thanks for sharing! You are right! Daily exercise can help seniors mitigate the risk of Alzheimer’s, but it can also help relieve depression and anxiety. Thanks for sharing.